Skilled aviation staff deserve well-earned praise following news that 2017 was the safest in the industry’s illustrious history. This wasn’t a close-run affair. Aviation has long been considered a safe means of transport, but the safety standards achieved during 2017 went far beyond those recorded in previous years. 2017 was also the busiest year for aviation so far, with a record 36.8 million passenger airline flights taking to the skies. This makes the recently released safety figures even more of an achievement. Other sectors – such as automotive, manufacturing, electricity generation and healthcare industries – can only look on at aviation’s safety standards with envy. However, such achievements don’t happen by chance. Instead, they’re the result of political will, comprehensive regulatory oversight, improving technology and – most importantly – skilled aviation staff. Let’s take a closer look at the factors that have made 2017 such a resounding success for aviation safety standards. How has this safety standard been achieved? 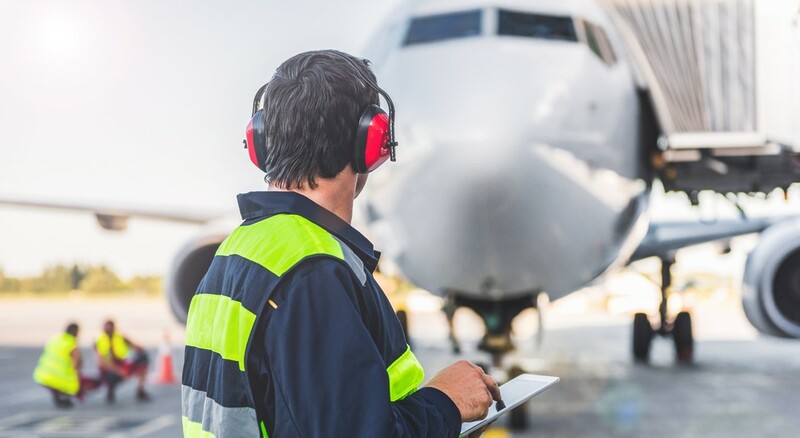 Any effort to improve industry-wide safety standards will fail if you don’t have the skilled aviation staff needed to follow instructions and take proactive steps. Everyone from aircraft designers and manufacturers, to pilots and cabin crew, to ATCs and ground crew have played a role in assuring the current standard. New training methods featuring more advanced simulators and eLearning capacity have enabled pilots to hone their skills, while flight attendants have taken steps to improve evacuation procedures. In terms of future improvements, further pilot training to reduce rates of loss-of-control events should be a priority. Aircraft manufacturers have utilised innovative new technology to come up with safer commercial carrier designs, as well as improving the performance of existing models. This includes cutting edge materials, such as composites comprised of plastic reinforced by carbon or glass. Some examples of this material are only around two-thirds as dense as aluminium (saving weight), yet increase strength-to-weight ratio by up to 20%. New manufacturing techniques – such as additive manufacturing and 3D printing – have enabled designs to progress even further. Once in use, maintenance technicians have applied upgraded safety procedures to increase reliability and reduce the risk of an incident. Elsewhere, dispatchers have applied more advanced tools to aid decision-making, such as improved weather forecasting software. To optimise safety standards even further, aircraft designers and airlines should look to mitigate the risks posed by lithium batteries. Ultimately, this would require improved training and new technological equipment supported by skilled aviation staff. Major regulators including ICAO, IATA and the Flight Safety Foundation have played an important role in improving aviation safety standards. Through their concerted efforts, regulators have helped to improve industry oversight and ensure higher standards in terms of accident investigation. Regulators have effectively moved from a reactive to a proactive approach. They’ve also started welcoming the use of external auditors to ensure adherence to procedural best practice. The next steps for regulators should be to set out clearer guidelines regarding unmanned aircraft and runway incursions. They should also focus on improving fatigue avoidance/mental health and wellbeing regulations. Aviation staff should be extremely proud of their achievements in 2017. Call on the expertise of a specialist aviation recruiter to find the calibre of skilled aviation staff you need to take your safety standards to the next level. Find the aviation staff you need to achieve new milestones and ensure optimal safety for passengers with a little help from the experts at AeroProfessional.